During the summer of 1845, a "blight of unusual character" devastated Ireland's potato crop, the basic staple in the Irish diet. A few days after potatoes were dug from the ground, they began to turn into a slimy, decaying, blackish "mass of rottenness." Expert panels convened to investigate the blight's cause suggested that it was the result of "static electricity" or the smoke that billowed from railroad locomotives or the "mortiferous vapours" rising from underground volcanoes. In fact, the cause was a fungus that had traveled from Mexico to Ireland. "Famine fever"--cholera, dysentery, scurvy, typhus, and infestations of lice--soon spread through the Irish countryside. Observers reported seeing children crying with pain and looking "like skeletons, their features sharpened with hunger and their limbs wasted, so that there was little left but bones." Masses of bodies were buried without coffins, a few inches below the soil. 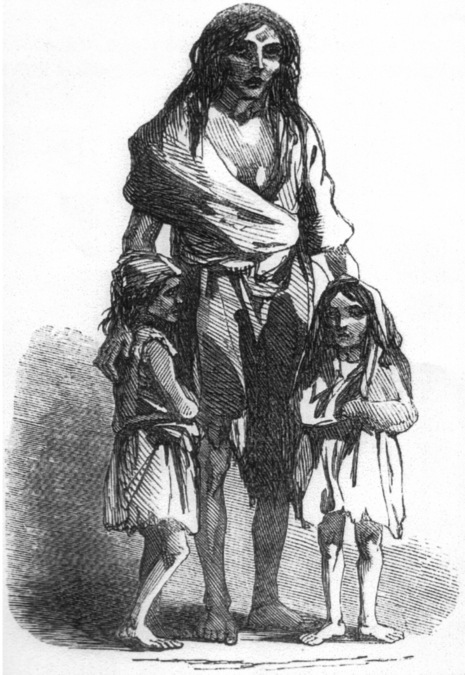 More than a million Irish people--about one of every nine--died in the Great Potato Famine of the 1840s. To the Irish, famine of this magnitude was unprecedented and unimaginable. Today, it may seem less surprising, though no less tragic, as television delivers up images of starvation more vivid and more frequent than ever before. Besides the horror, what unites the famines today with one over a century ago are the reasons behind them. 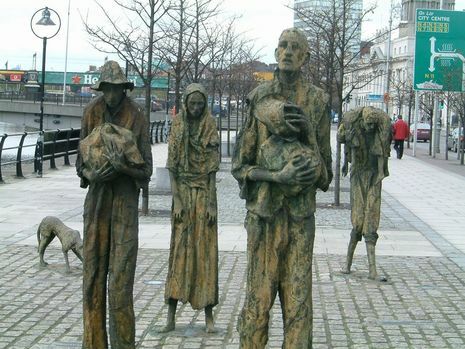 Ireland's famine and those of the 20th century have similar, complex causes: economic and political factors, environmental conditions, and questionable agricultural practices. 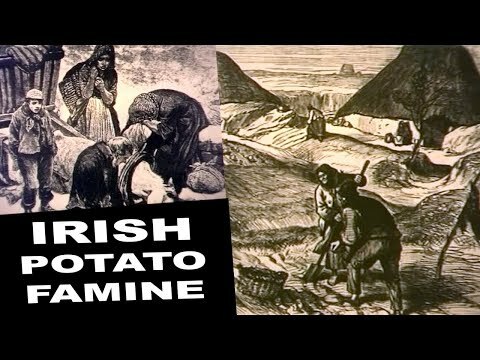 The Great Famine, the Great Hunger; the Irish Potato Famine;an Drochshaol, [ənˠ ˈdˠɾɔxˌhiːlˠ], the Bad Life) was a period of mass starvation, disease and emigration in Ireland between 1845 and 1852 during which the island's population dropped by 20 to 25 percent. Approximately one million people died and a million more emigrated from Ireland. The proximate cause of famine was a potato disease commonly known as potato blight. Although blight ravaged potato crops throughout Europe during the 1840s, the impact and human cost in Ireland – where a third of the population was entirely dependent on the potato for food – was exacerbated by a host of political, social and economic factors which remain the subject of historical debate.